Yvette trained as a secondary HE teacher, but went on to teach in middle and, later, primary schools. She is presently a Year 5 class teacher. Yvette has previous writing experience producing educational resources for charities, and is currently completing a project with Battersea Dogs Home. A great big thank you for all the amazing resources. Planning has been so much easier and straightforward in particular in literacy and numeracy. 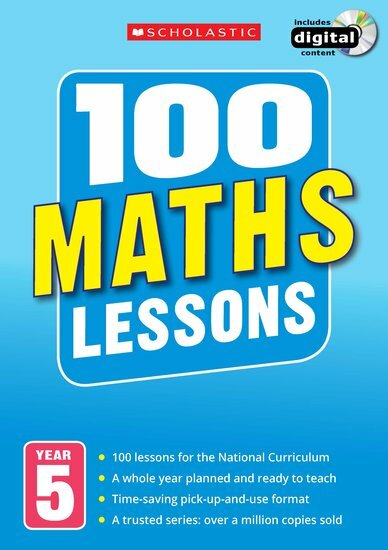 The 100 English and Maths Lessons resource books are fantastic, easy-to-follow and adapt for classroom use. The resources are fun, interactive and inspire children through a range of activities. Practical, group, shared and class tasks which keep the children engaged. The books are used throughout our school which only further highlights how fab they are. I look forward to seeing what new curriculum resources Scholastic have to offer – keep up the good work.